The Curragh Racecourse is Ireland’s most important Thoroughbred racecourse for flat racing. It is considered to be one of the best racetracks in the world and is a centre for showcasing, racing and training of some of the best Thoroughbreds globally. 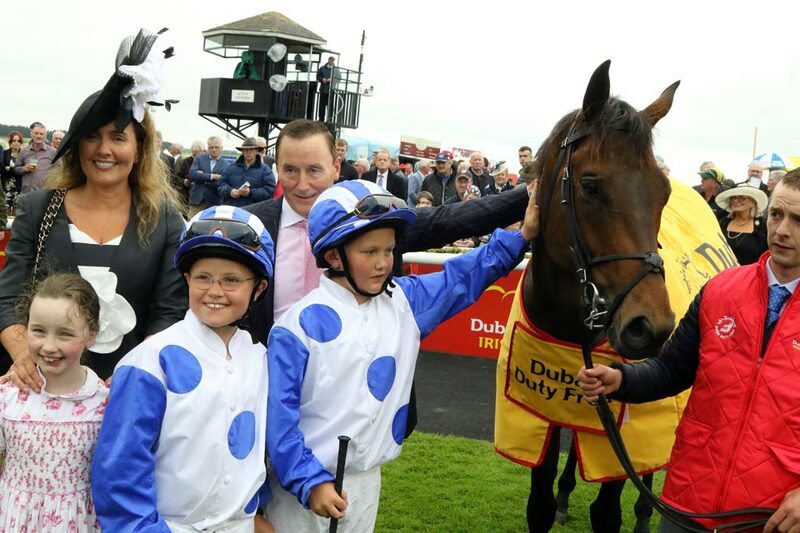 Every year it is home to Ireland’s five Classics – the Irish 1,000 Guineas, the Irish 2,000 Guineas, the Irish Oaks, the Irish Derby and the Irish St Leger. The racecourse which has hosted racing since the 1700’s is located on the Curragh Plains in Co Kildare, less than an hour’s travel from Dublin City. Funding for the 70 million euro redevelopment has been provided by the State, through Horse Racing Ireland, and private investors. 18 race days are scheduled to take place in 2018 from May to September with high quality marquee structures in place for public and corporate use. 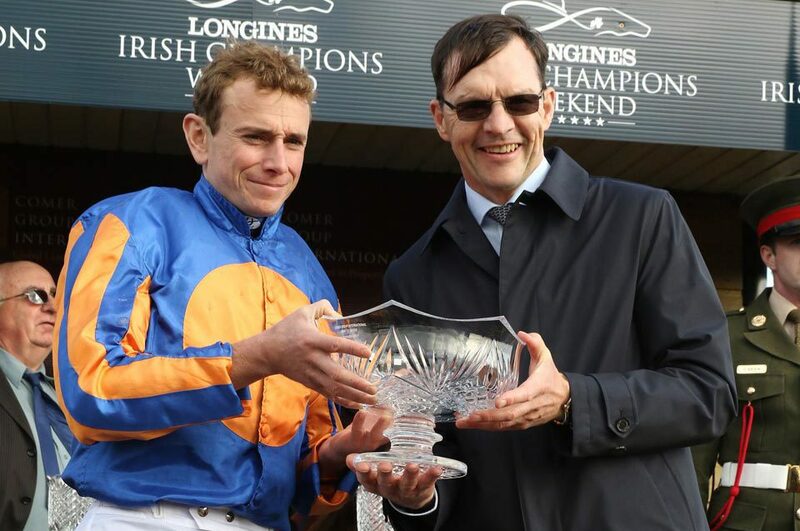 The Curragh Racecourse Ltd have appointed John Sisk & Son Ltd as the main contractor to construct the magnificent new facilities that are scheduled to be completed by the end of 2018, in time to launch for the 2019 racing season. 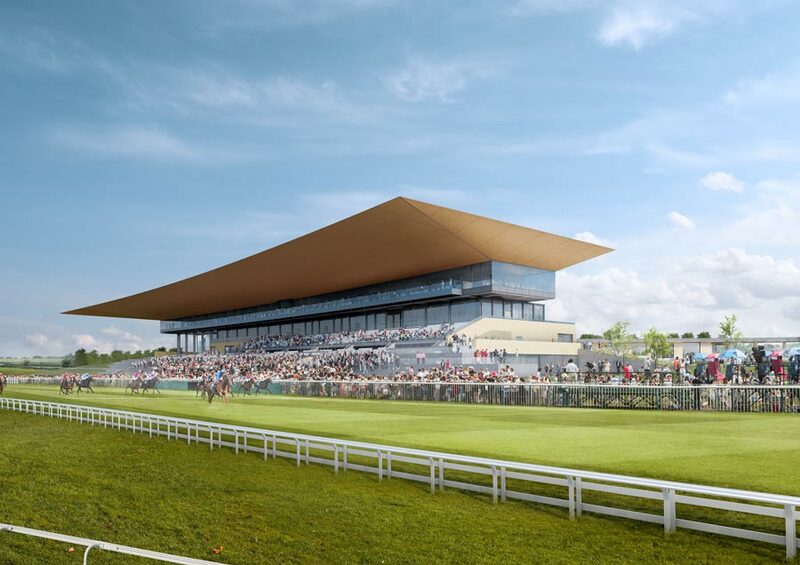 Designed by Grimshaws, in association with Newenham Mulligan & Associates, the new Curragh will see the creation of world-class multi-purpose facilities on a par with the best anywhere in the world. 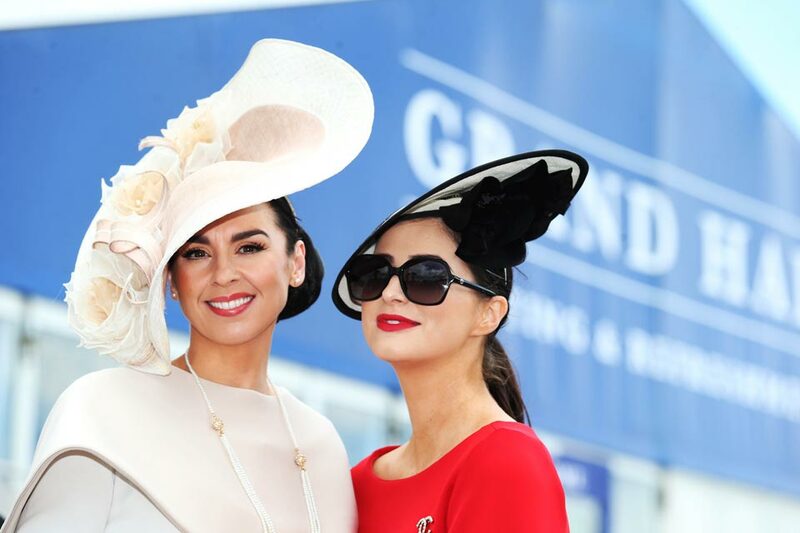 The new venue will respect both the great heritage of the Curragh and the importance of celebrating the unique landscape of the Curragh plains, whilst retaining the intimate and distinctive character of the existing racecourse grounds. The redevelopment aims to upgrade the facilities and amenities of the site with an innovative design that will create a sense of arrival, atmosphere and excitement. The centrepiece of the redevelopment will see the creation of a major new grandstand which will incorporate five-star corporate facilities, restaurants, bars and superb viewing facilities for the public. A new arrivals and reception area will incorporate a brand new visitor attraction incorporating a museum to celebrate the history of racing in Ireland and the contribution Ireland has made to the sport worldwide. 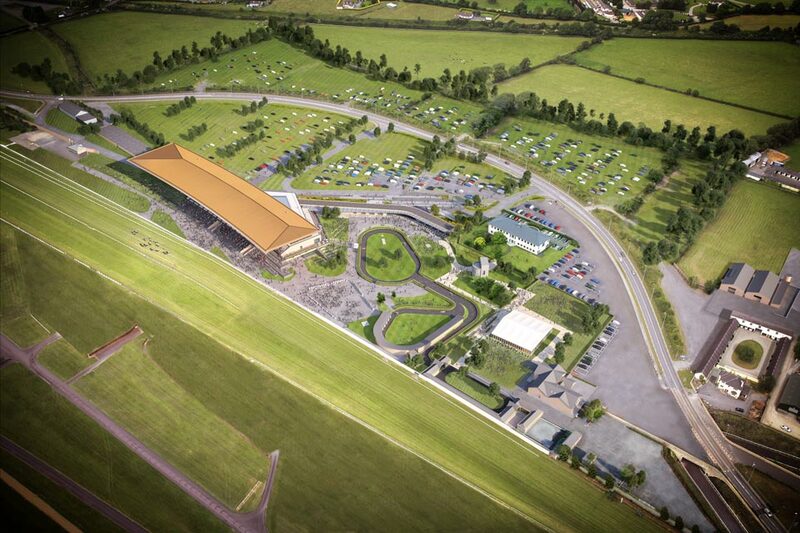 A new parade ring will ensure that more patrons can share in the excitement and build up to the racing. A new weigh room will provide even better facilities for the jockeys. Demolition by Murphy International of the old Curragh grandstand and Weigh Room commenced last January and was completed in June, while they are also currently working on the reconstruction of the historic Viewing Stand as a stand alone feature, which was first built in the 1850s to commemorate the visit of Queen Victoria.